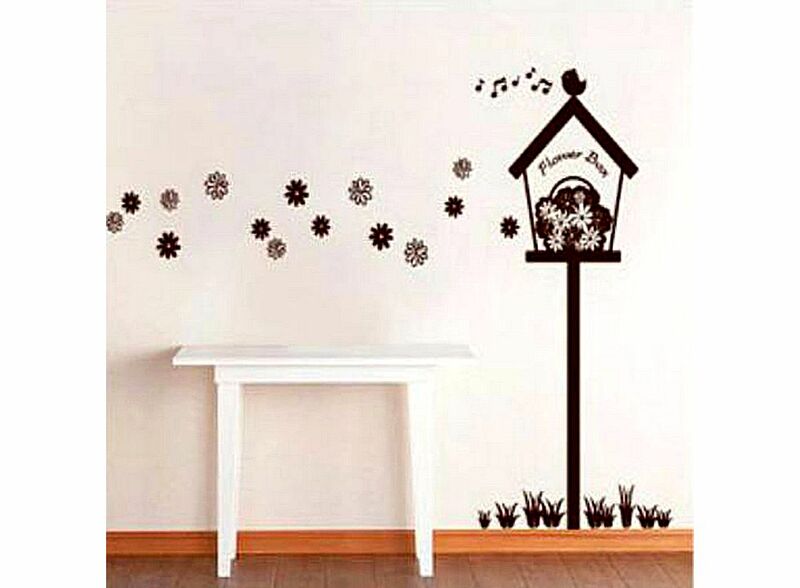 Dark Grey Flowers Box Wall Sticker J00549SM, Buy at lowest prices. The Dark Gray Flowers Box Wall Sticker is the perfect and convenient way to adorn and decorate space. Sticker is easy to stick on walls. Perfect for nurseries, homes, stores, dorms, and anywhere else! It'll liven up any room and give it a new vibrant life! This sticker will surely add some beauty to your room. Filled with flowers, many flowers drifting outside. Flowers box standing in the grass. The birds sing the sweet music. The box like a house.